I seem to remember there was some discussion over the summer about Georgetown shops leaving their doors open to invite patrons in but as a result ended up wasting serious air conditioning. Who knew it also applied to Winter. 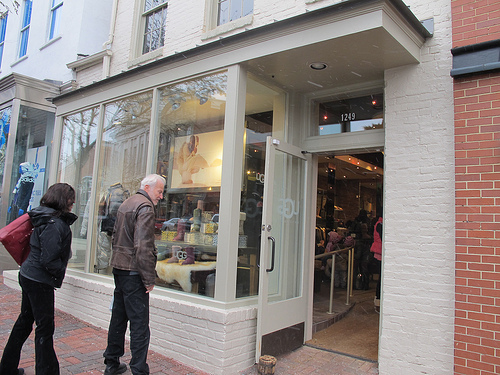 Last weekend I noticed the new Ugg store on Wisconsin Ave had its door propped open on Sunday (it was about 28 degrees outside). Ridiculous or if they can afford the cost who cares?